* We were guests of Hilton Hotels & Resorts for this stay and as always, these are our own thoughts and views. 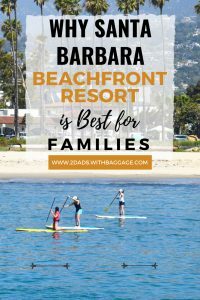 Santa Barbara is one of our family’s favorite places, and over Memorial Weekend we visited this beautiful beach city along the California Coast for a little getaway. We were told the Hilton is a Santa Barbara beachfront resort great for families, and we set out to see for ourselves. We have actually stayed at this property a couple of times before, when it was formerly known as the Fess Parker Doubletree Resort. With a recent remodel and room upgrade, the property has been reborn as the Hilton Santa Barbara Beachfront Resort. And as Hiltons go, this is one of the best we’ve experienced in the US. 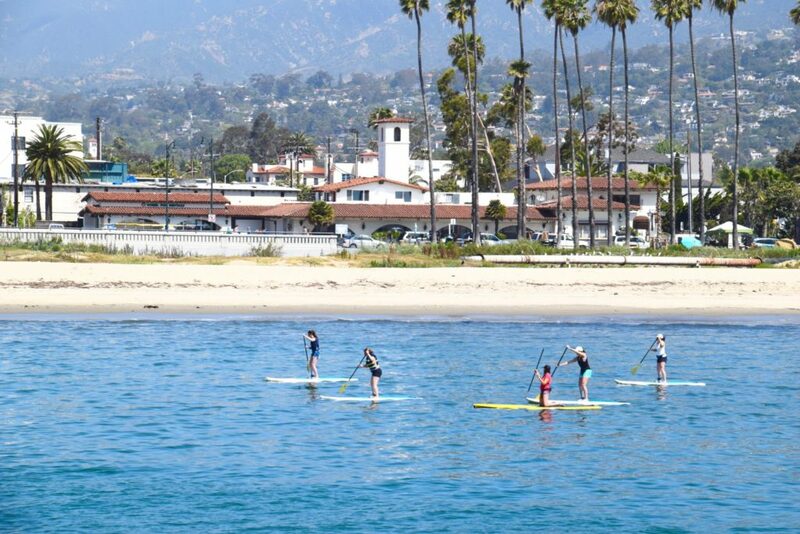 A stand up paddle board lesson on the calm waters of Santa Barbara Bay, taken from Stearns Wharf. I lived in Santa Barbara years ago, and one of my favorite beaches was always East Beach. The Hilton Santa Barbara Beachfront Resort is directly across the street from this beach, with green lawns on either side. A short walk down the sand is Stearns Wharf and the base of State Street. Triton and I got up each morning, grabbed a Starbucks from the lobby and enjoyed a nice quiet walk at the waters’ edge. 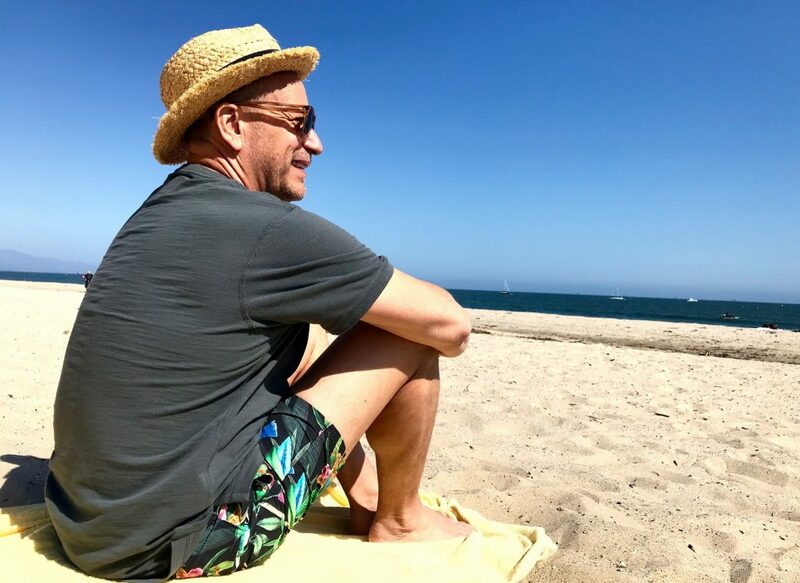 Later in the day when things warmed up, that same beach served as the ideal spot for some sunbathing and splashing around in the Pacific Ocean. Helpful Hint: Ask for a room on the third floor for the best ocean views. 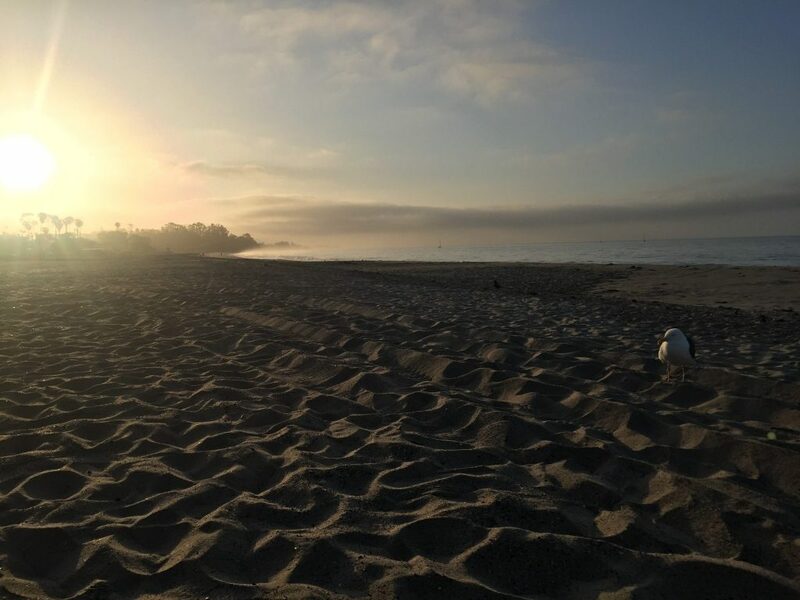 This little seagull friend helped us greet sunrise at East Beach in Santa Barbara. The pool and spa at the Hilton Santa Barbara Beachfront Resort are spacious. Families with kids of all ages played in the water and lounged poolside with cold drinks. Nearby on property, the bicycle rental beckoned us to go for a spin down the boardwalk. We happily rode along under the palm trees, watching a band of standup paddle boarders practice their moves. Out on Stearns Wharf, visitors can spy the occasional dolphin swimming among the sailboats headed out to the Channel Islands. Or pop into the Natural History Museum’s Sea Center to see some ocean life up close. 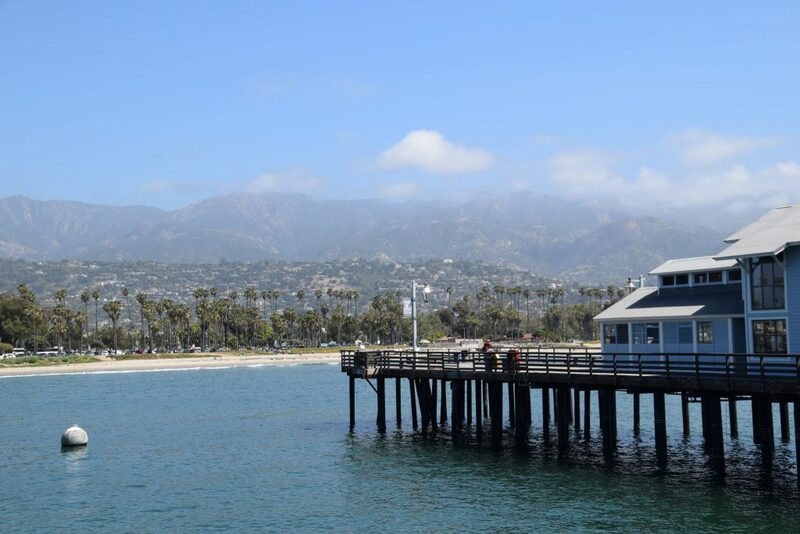 From Stearns Wharf, you can see the beach, the Santa Barbara Riviera and mountains beyond. Later, we enjoyed a stroll on Lower State Street, checking out the cool shops, restaurants, and historic train station. Also not to be missed is the gigantic Moreton Bay Fig Tree – awarded as the largest and oldest in the country. 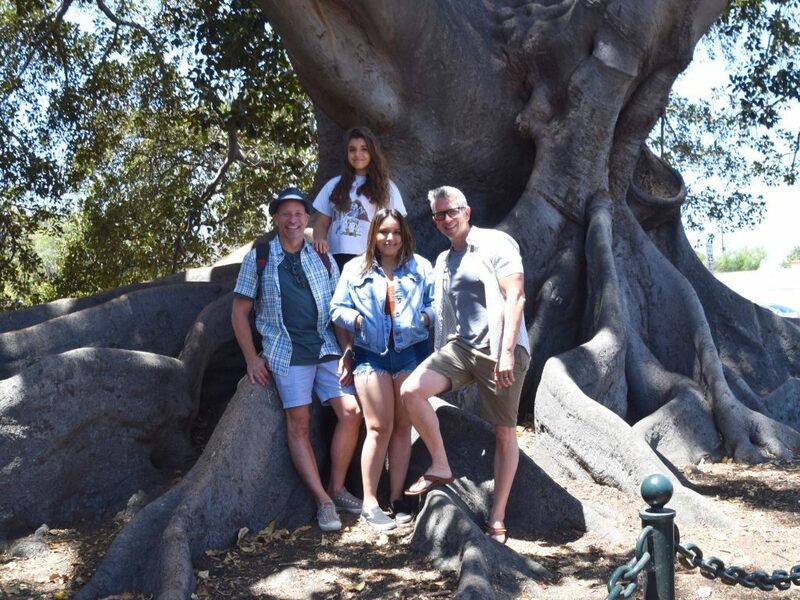 This Moreton Bay Fig tree in Santa Barbara is thought to be the largest and oldest in the US. Helpful Hint: Right next to the train station, pop into the lobby of the little known Ronald Reagan Museum. Right inside the front door, they have the largest piece of the Berlin Wall in existence outside of Berlin. The remodeled Hilton Santa Barbara has all the bells and whistles, and our kids are the ones that notice the most. Both girls inspect a hotel room as though they were the management. We find them looking in every drawer and opening every closet and cabinet. 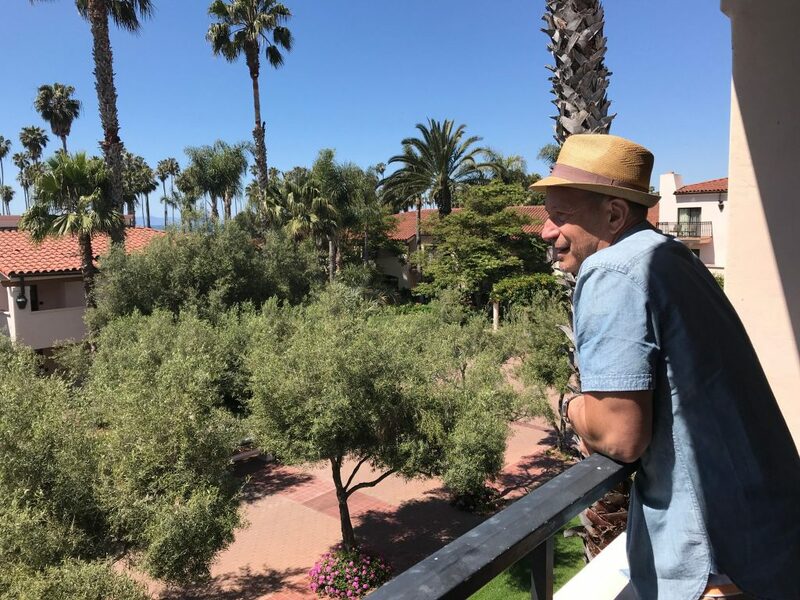 Our balcony at the Santa Barbara Hilton overlooked a grove of olives, a string of palm trees, and the Pacific Ocean. My pet peeve is when there are not enough outlets for charging our many (many!) devices. These new rooms had plenty of options. Now if we could just get our girls to stop draining the batteries on their phones from overuse! Helpful Hint: Each room has a nice mini fridge that fits snacks and drinks. Just down the street is a produce market, where you can buy fresh-picked organic fruit for snacks in the room. To me, hotel staff makes all the difference in the quality of our stay. When team members remember us from previous visits and go out of their way to remember our names? Well, that is hospitality at its finest. From the valet to the doorman to the housekeeper, the team here is exceptional. Real authentic smiles from people that look you in the eye are so rare these days, and our entire family was impressed by this team. Helpful Hint: Valet park your car. It’s only $6 more per day, and the staff is so wonderful you will appreciate them having your car ready when you want to scoot out. Want to play some beach volleyball? It’s right across the street at East Beach. Or perhaps try some of that famous Santa Ynez Valley wine? 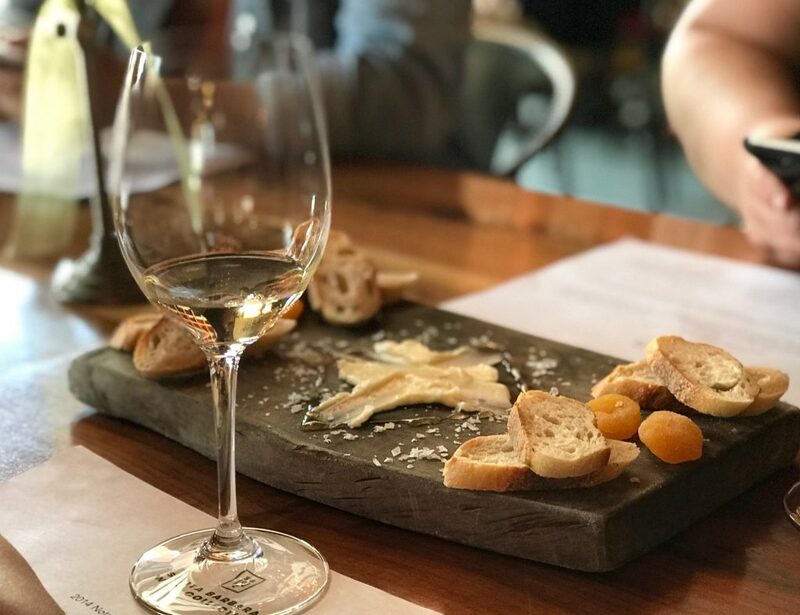 There a scores of wine tasting rooms scattered throughout Santa Barbara’s Funk Zone, the coolest neighborhood in the city. The Funk Zone is filled with trendy restaurants, fun cafes, craft breweries, galleries and shops, all within walking distance of the Santa Barbara Hilton. Wine tasting in Santa Barbara’s Funk Zone is a blast when you’re with your friends. A short car ride away and we were able to reach downtown Santa Barbara in minutes. 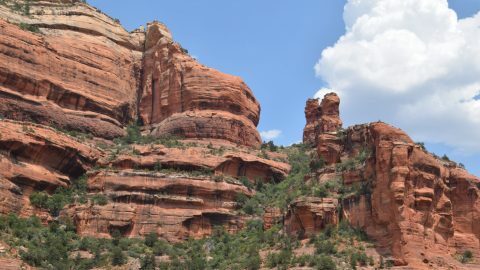 The shops of State Street, the gorgeous architecture and gardens of the County Courthouse, and the historic adobes of the original settlers are all here. Up the hill a bit is the gorgeous Santa Barbara Mission and its ocean views. Helpful Hint: If you visit the County Courthouse (and you really should) go all the way to the top for views from the tower. This historic landmark has some surprisingly beautiful tile work and other adornments that make it a must-see for any Santa Barbara visitor. 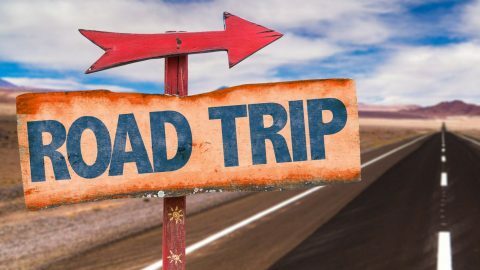 Car: 2 hours from LAX (without traffic) and 3.5 hours from San Diego. Train: 3 hours from Union Station in downtown LA. Air: Santa Barbara International Airport welcomes flights from many major US cities and beyond. The Hilton Santa Barbara Beachfront Resort offers rooms starting at $ and suites starting at $. Sunning in the warm sand at East Beach in Santa Barbara, looking cool in my new StitchFix clothes.